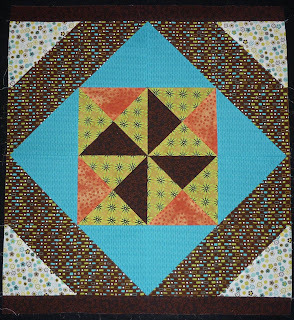 My fabric choices for this block made it a little tricky to construct - I just had to have everything running the same direction! but I'm very happy with the end result. I spent all Saturday afternoon making this one! This is the last of the 'very large' blocks! I don't think I've ever made blocks 20" or more so it's been a good challenge. I'm learning something every day. 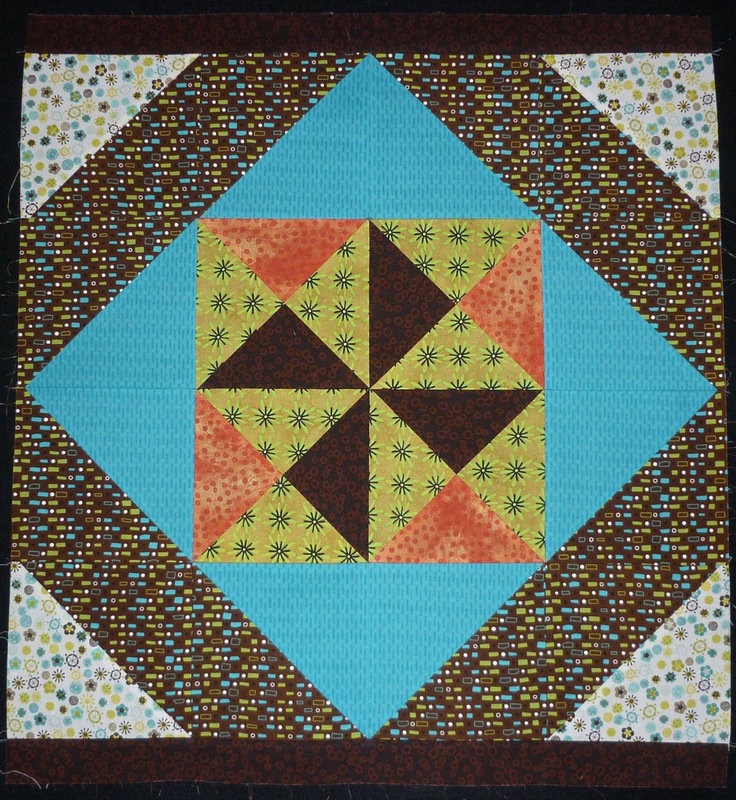 Today I will get the Batik version of this block done. I have to decide what to do about the Batik quilt as I don't have enough of the current Contrast fabric I'm using to finish off the whole quilt so I might just make up a mini quilt and use up what I have and then start another Batik version using a new Contrast fabric I purchased this week. I have lots of Batik fabrics to use up. I'm going to try and get the sashing on my Aussie Log Cabin quilt today too - poor thing has been booted off the design wall and is waiting patiently beside the machine... really must get it done! One block- one day! Wow! That's dedicated! It's going to look great- I saw the bigger plan on facebook! Looking good Helen, well done.